Is your AC making a strange noise? Does it only turn on intermittently? During the summer in Madera, CA, you need to make sure that your air conditioning system is in top shape, so that you achieve uninhibited comfort on a daily basis. Unfortunately, this is the season that can present challenges to air conditioners everywhere. With high temperatures and long days, there may come a time when you need air conditioning repair service. Even with professional installation and routine maintenance, your AC is still subject to general wear and tear over the years, and some repairs are inevitable. Call the Madera, CA air conditioning specialists at Purl’s Sheet Metal & Air Conditioning today for repair services throughout the area. Let’s take a look at some typical AC repairs that you may come across this cooling season. AC won’t turn on. Make sure you do things before you call for professional repair. Double-check your thermostat to make certain that it’s calling for cool air and that the fan is on. Also, check your circuit breaker panel to see if it has a tripped. If neither of those works, then you may need professional assistance. You could have a bad capacitor, the device that helps the compressor start up. Frozen evaporator coil. The indoor evaporator coil circulates cool, liquid refrigerant, whose interaction with the warm indoor air changes the refrigerant into a gas (hence the name). But there are various imbalances and issues within the cooling cycle that can cause the evaporator coil to freeze up. It could be low refrigerant or a clogged air filter that is trapping cold air in the air handler. Not only will your coils need to be defrosted, but also the root of the problem needs to be fixed. Inadequate cooling. This is probably the most common indication that something may be wrong with your AC. When your cooling system is no longer cutting the heat and humidity, then you need professional diagnosis to figure out the root of the problem. It could be an airflow issue, or it could be related to low levels of refrigerant circulating through the coils. Call Purl’s Sheet Metal & Air Conditioning today for comprehensive air conditioning repair services in Madera, CA. When the heat of summer is upon us, the last thing that you want to deal with is a broken down air conditioning system. Unfortunately, many homeowners do not realize that there are a number of issues that can develop with their air conditioning system that can really take a toll as the summer progresses. One such problem is the buildup of dirt, dust and debris on various components of your air conditioning system. We all like to maintain high indoor air quality in our homes to keep comfortable, but airborne pollutants can actually hinder the operation of your AC as well. Here are a few examples of this from the Fresno air conditioning repair technicians at Purl’s Sheet Metal & Air Conditioning. One major way that dirt, dust and other debris in the air in your home can impact the performance of your air conditioner is by clogging up the air filter in your AC system. While it is true that the whole purpose of this air filter is to trap such pollutants, many homeowners are mistaken as to why it does so. The purpose of this air filter is not to improve indoor air quality, but rather to protect the condition of your AC. It prevents dirt and debris from accumulating on the interior components of its system to keep it operating properly. If, though, you do not change your air filter regularly, particulants may bypass the filter, free to build up within your system. The added airflow resistance a clogged filter creates can also decrease the efficiency of your system, as it works harder to force air through. This increased strain can damage your system. When dirt, dust and other debris builds up on vital components, such as your evaporator coils, your air conditioner will not be able to cool your home efficiently or effectively. Your condenser coils can ice up, which will prevent them from functioning properly. Do not let dirt on your coils hinder the performance of your air conditioning system. For more information about the impact of dirt and other pollutants on your air conditioning system, contact Purl’s Sheet Metal & Air Conditioning today. We have the tips you need to cool your home effectively and reliably. 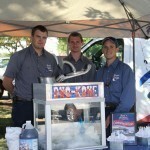 Let our Fresno air conditioning repair pros help you keep your cool this summer. Madera Chamber of Commerce Business Extravaganza! Purl’s Sheet Metal is a Platinum Event Sponsor for the 2013 Business Extravaganza and Trade Show. The event will be at Hatfield Hall & Patio at the Madera Fair Grounds on June 20th, 2013 from 4-8pm. The event offers an opportunity for businesses and community members to get to know each other throughout the evening. Lots of fun is sure to be had, including prize drawings for donated goods from the participating Madera businesses at the end of the evening. Stop by and visit the Purl’s Sheet Metal team in booths 5 & 6. Our newest lines of products and services will be available for preview. 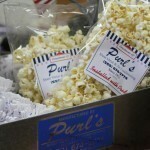 Purl’s Sheet Metal will be giving away free packaged popcorn at our booth, PLUS we have working AC in our booth to cool you down! The Madera Chamber has been hosting this event for many years. It is a fun evening with live music and food vendors from local Madera Restaurants. So, come on down and join us! 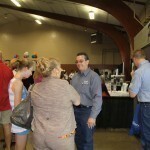 Posted in Air Conditioning, Community Involvement | Comments Off on Madera Chamber of Commerce Business Extravaganza! When it comes time to have a new air conditioning system installed there are a few considerations that you need to make. The Fresno air conditioning installation professionals at Purl’s Sheet Metal and Air Conditioning have years of experience installing all different makes and models of AC units and we can help you pick out a new system that matches your home’s needs and your budget. We wanted to help our customers with their new AC system by putting together a few of the things that they should consider before getting an air conditioning installation. Whether you’re having a new air conditioning system installed in a new home or if it has come time to replace your current system, getting professional installation for your new AC unit is normally recommended. One of the most common causes of air conditioning problems is poor installation. There are a number of things that can go wrong with your new air conditioning system if you don’t get professional air conditioning installation in Fresno. These are a few of the things that you may want to think about before you decide which system to get for your home. SEER rating – The SEER (seasonal energy efficiency ratio) describes how much cooling a unit produces and how much energy they use to do that. The higher the SEER the more efficient the system is. Typically, a SEER rating of 14 is required to receive Energy Star certification. Cooling capacity – You want to make sure that your new air conditioning system is capable of providing enough cooling for your home. But you also don’t want to get one that is too large. Finding the right-sized system is one of the most important steps in the process and one that a professional contractor will help you with. Type of system – When it comes to air conditioning systems, there are a variety of systems to choose from. Of course there is the standard central air conditioning system. But there are a couple other types that you may want to consider. Heat pumps – If you’re interested in a high-efficient and convenient system that provides both heating and cooling then a heat pumps is a great option. These types of systems are very durable and offer consistent heating and cooling. Ductless mini split systems – Ductless mini split air conditioning and heating systems are another high-efficiency type system. They allow homeowners to avoid the energy loss that is generally associated with ducts. They also provide zone control so that homeowners can control the temperature in different sections of their homes independently of each other. No matter what kind of system you want, the Fresno air conditioning installation experts at Purl’s Sheet Metal and Air Conditioning can get the job done fast and with good quality.